This is a quick look on probably all the dramas that I have watched so far…I’m giving a quick review on these especially highlighting the ones I personally highly recommend. The more detailed and structured reviews will come later. Hope it helps! Song Hye Kyo and Rain’s roles were definitely portrayed well. I just love the scenes when these two come together and starts their continuous quarrels. Their fights are just simply adorable as much as their lovey dovey scenes, they pretty much turn into kids when they’re together. Their chemistry is really nice and I can’t imagine anyone more perfect for the roles of Han Ji Eun and Lee Young Jae. Plus, the second guy Yoo Min Hyuk is just simply handsome. Full house will always be special for me since it is one of my first korean dramas which made me a certified korean drama fanatic. If you want a taste of classic Rom-Com then this drama is for you. There will definitely be a lot of laughing moments. Honestly until today, i can still remember some of my favorite fun scenes in this drama…somehow it just sticks in my memory (especially the ever famous Three Bears song ^_^)..there are also some sad moments and definitely a lot of cute and romantic scenes. The OST is also very nice and just suit the feel of every scene. 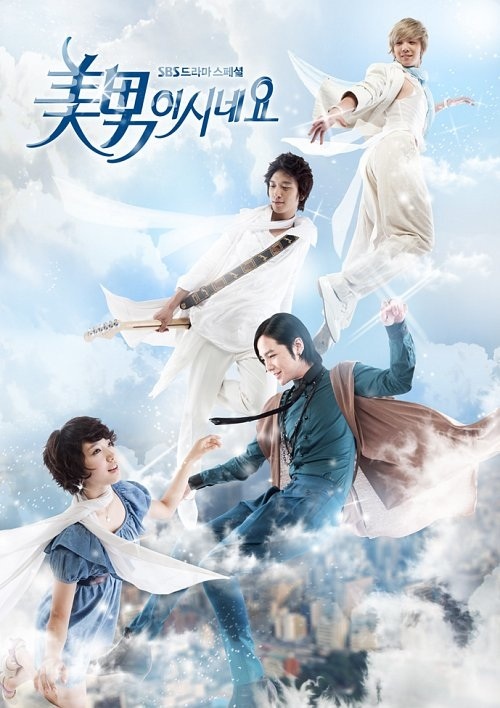 This is a light and enjoyable drama that is definitely at the top of my recommended drama list. Playful Kiss is about a popular and genius male student named Baek Sueng-jo who has a stand-offish personality and Oh Hani who is a female student who makes up for being not-so-genius by always being smiling and happy. An earthquake destroys the girl’s home and she and her dad end up living with the boy’s family. The girl has kept this boy in her heart but she has never received any assurances of her love being reciprocated. Fun and groans ensue as they interact and rub off on each other. How will this drama end? Don’t get me wrong, I totally enjoyed this drama despite the many negative comments about it but objectively speaking the acting can really be better improved. Kim Hyun Joong as Baek Seung Jo is a smart move for me since the character really sounds like the kind of impression that KHJ gives off (handsome, smart and cool guy). However, there were times when I just think that the feelings of KHJ in some scenes can still be pushed more. As for Oh Ha Ni portrayed by Jung So Min, I actually think that it is well portrayed and that the only problem is that the feelings of Oh Ha Ni is being repeated in most scenes and are not that diverse that somehow it will look like JSM’s acting is lacking but you can’t blame her since she was just sticking in the script. There’s just something in this drama that have made me watch it for so many times (about 6 times? ^-^) despite its imperfections. Maybe it is because of the good chemistry between the two leads where every sweet scene just make me go “awww..”. Or maybe because somehow the story is close to many females.. The experience when you have this first or ultimate crush in school who have no idea who you are or is just someone you considered ‘unreachable’ but despite this you can’t just get him out of your mind.. the moments when you secretly stare at him, stalk him, daydream about him, doodle his name on your notebook while in class etc, all those ‘crush’ moments.. this drama all got these. All in all I will definitely recommend Playful Kiss as a light, enjoyable and very sweet drama that will make you reminisce your school years. As I have said, the acting can definitely be better improved. Sometimes the character of Oh Ha Ni is just a little bit embarrassing but somehow you’ll agree that it takes courage and sincerity for her to be able to be that loyal to Seung Jo.. There are moments when you’ll wish that Ha Ni should be a little bit stronger or at least play hard to get against Seung Jo, but mind you, this girl’s world definitely revolves around that guy. The management company of the idol group A.N.JELL insisted on adding a new singer to the group as the lead vocal, Tae Kyung’s voice was hurting. However,the new member, Mi Nam, had to go to the States to repair a botched eye job just before signing the contract. His agent came up with the idea of having his twin sister, Mi Nyu,to stand in for him and pretend that she was her brother. The two of them grew up in an orphanage and Mi Nyu, who was all set to become a nun, agreed to this charade as she didn’t want to spoil her brother’s chance of fame which would make it easier to look for their mother. Go Mi Nam is portrayed with the distinguished acting of Park Shin Hye. If you are a PSH fan then you already know the cute/aegyo (a lot) acting that comes with her character. Jang Geun Suk on the other hand, is well known for his angsty/arrogant characters and this again is the concept of his character as Hwang Tae Kyung. Both leads performed well and their couple has become well known not just in Korea but also in different countries. Jung Yong Hwa’s debut acting role as Kang Shin Woo made him popular as the milkman/towel guy/2nd generation Jihoo (from Boys Over Flowers). Although I’m a big as in super big fan of Yong Hwa and CNBlue, I can’t deny that his acting is really lacking but despite this, his character is definitely adored by many many fans because of his interesting romantic side. Lee Hongki as Jeremy is really cute and adorable in the drama. His role actually play a major role in making this a comedy. As expected from an actor since his childhood, Hongki was able to portray his role the best among the leads for me. I may disappoint a lot of Jang Geun Suk-Shin Hye fans out there because I’m really a Yong Hwa-Shin Hye shipper but still I’ll try my best to review this drama fairly. As I have said in the category, this is one of the Girl pretending to be a Guy drama. The first episode definitely hooked me as soon as i watched it. It is a light and fun drama to watch. As I said, there are three leading men (ofcourse the main is still JGS) who create different love lines with PSH/Go Mi Nam. 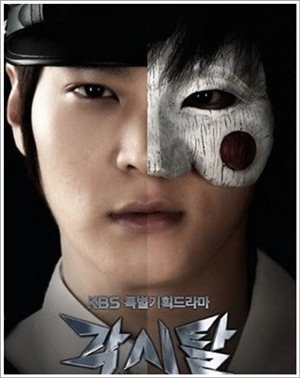 This definitely is one of the most famous korean dramas worldwide and that is why I really recommend you to watch this. The friendship off-cam between these four leads is also really nice… I actually enjoyed it as much as the drama. Well I guess the down side is that I find some parts in the drama a little bit exaggerated or some a little bit shallow. But of course most parts are still enjoyable and fun. Since the lead guy is JGS then ofcourse you already expect him to end up with PSH… but me like the other fans were still sad since the YongHwa-ShinHye love line as well as the Hongki-ShinHye love line would also be nice as well.. It would have been better if like in the books, there can be three possible ending where the lead girl can fall in love with all of the three. The story itself! there are so many Girl pretending to be a Guy dramas so why not make it the other way around right?… that’s right! this time, the Guy pretends to be the Girl, and the lead guy really looks like a girl when he wears a wig.. but i still find him cute and charming when he removes it and becomes a guy. ^-^. This short drama is really really cute and fun to watch. I like the two leads so much. Definitely a must see!! So short!!! there are only 3 episodes that is why you’ll definitely crave for more… I swear they should have made it longer, it would really be great drama if there will be more interactions between the leads and if the story would have more twists. I’m waiting for more dramas with this kind of concept, a part 2 perhaps?